Klonopin High - Why People Abuse Klonopin? Klonopin is a benzodiazepine and is the brand name for a drug called clonazepam. It acts by slowing down brain activity something that helps the users to feel relaxed. Initially, the drug was meant to help people suffering from epilepsy to manage episodes of seizures. The rapid and powerful relaxation and calming effects of Klonopin later led to it being recognized as a viable way for treating panic attacks. The medication is at times prescribed to treat and ease anxiety as well as mental withdrawal symptoms of patients that are quitting taking alcohol or other addictive substances. People who take Klonopin for recreational use report that they are relaxed in body and mind. They feel calm and heavy. A sense of euphoria makes users feel pleasurable and rewarding something that leads to continued use of the medication to get high. So if you are asking yourself, “What does a Klonopin high feel like?” at least you have an idea of what to expect when you use the drug for recreational purposes. Taking Klonopin for recreational purposes is aimed at making an individual high. 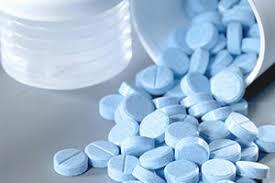 In Klonopin high, an individual experiences effects such as sedation, sleepiness, relaxation, and calming. Because Klonopin impacts the GABA receptors, an individual may have a high that tends to be similar to alcohol intoxication. Continued experimentation with the drug results in Klonopin abuse where effects may include memory loss and confusion, dizziness, nausea and vomiting. Klonopin is a common prescribed benzodiazepine and many people have been using it. The American Psychiatric Association says that between the years 1996 and 2013, adults filling prescription for benzodiazepine increased by 67 percent from 8 million to more than 13.5 million. Again, the median cumulative quantity people filled in the years also went up by up to 140 percent – that’s from 86.8mg to about 208mg. This statistical analysis indicated that more people are taking the drug Klonopin in form of prescription, and again more people are using the drug recreationally. Klonopin offers long lasting sedative effect and recreational users tend to take it along with other illicit drugs, narcotic painkillers, tranquilizers, or even hallucinogens. Combining Klonopin with these drugs and substances can worsen the side effects. People take Klonopin with other drugs to mask or amplify those drug’s effects. There are situations where people take cocaine and other stimulants so that they counter the sedative effect that is induced by Klonopin. There are other people who take Klonopin along with alcohol so that they enhance the calming effects of Klonopin – this may be for the sake of getting a better high or trying to sleep. Often, the worst effects of such combinations of Klonopin with other stimulants particularly CNS (central nervous system) depressants such as alcohol is that it can lead to a fatal overdose. Alcohol and Klonopin may slow down an individual’s central nervous system in such a level where they may stop breathing. Similarly, taking cocaine allows a user to stay awake and it gives the individual a false sense of the amount of Klonopin they are able to handle. Unlike Klonopin, cocaine tends to wear off faster and when this happens, a user may find themselves fatally overdosing Klonopin. The National Alliance on Mental Illness gives a warning that people should stop drinking alcohol along with Klonopin. When they do this, it may decrease the effectiveness of the drug or worsen the condition they are treating. It also increases the adverse effects of Klonopin or that of the illegal drugs and alcohol such as sedation. In essence, taking alcohol while you are taking Klonopin increases the danger of having accidental overdose. Combining Klonopin with other drugs complicates your mental health symptoms. For example, combining depressants tends to slow down central nervous system and if the system slows down too much, it may risk an individual having a coma, being unconscious, or experiencing death. If you are wondering how much Klonopin you need to get high, then you should know that even the normal dose of 2mg can induce a feeling of high. The amount you need to get high depends on your tolerance level to the drug. If you have been using the drug for an extended period, you find that you may need to take more than 2mg to get the high.